Staying on top of price movements of various polymers including engineering plastics is critical, especially for plastics OEMs. ICIS data can help you optimise your material sourcing and ultimately your profit margins. ICIS provides a broad coverage of the polymers and plastics markets, including raw materials. What are the current trade prices of commodities like LLDPE, HDPE or nylon? How long should you lock in the price for? Are you sourcing your materials at the right price and at the best time? How will the overall plastics trading dynamics affect your material inventory, usage and pricing scheme? 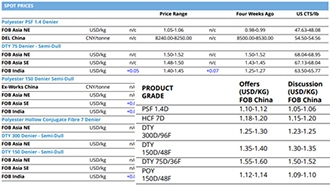 What are the weekly prices for key thermoplastics? ICIS pricing reports provide regional price assessments of all key plastics and polymers traded regionally and globally. They are published weekly, enabling you to keep track of trade prices, understand price drivers/fluctuations and have a reliable benchmark for contract price settlements. What are the forecast prices for polyethylene, polypropylene and polystyrene in the next 12 months? ICIS consultants forecast the likely trade prices of polyolefins in the coming 12 months, based on supply and demand dynamics as well as market developments. Price forecasts: Rolling 12-month view of pricing, including current prices and expected price trends. Raw materials: Current data on upstream feedstock prices affecting commodity market prices and margins. Supply and demand balances: Historical and forecast data on supply and demand balances to support your decisions on production plans and operating rates. Will there be supply/demand imbalances over the long run that can affect key plastics / polymer commodity prices? 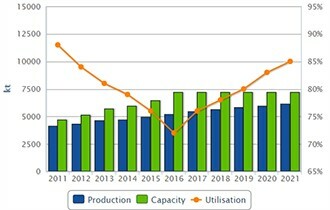 ICIS Supply and Demand data enables you to gain a mid-to-long term view of the polyolefins and plastics resins markets. 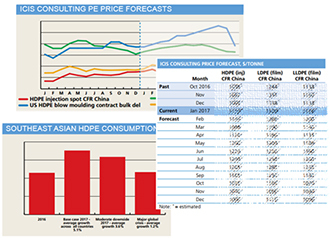 Don’t miss out ICIS monthly perspectives on China’s plastics and polyolefins market outlook. Every month, we discuss market developments and analyse price levers from supply and demand to geopolitics to socioeconomic changes. Contact a sales representative to enquire about our full coverage.